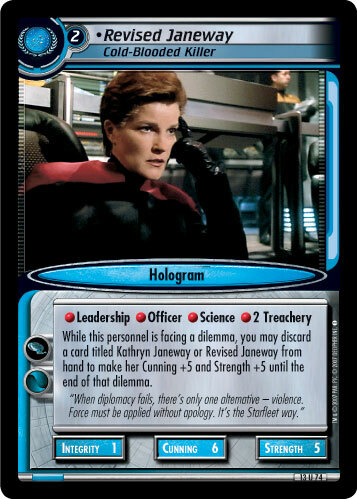 While this personnel is facing a dilemma, you may discard a card titled Kathryn Janeway or Revised Janeway from hand to make her Cunning +5 and Strength +5 until the end of that dilemma. "When diplomacy fails, there’s only one alternative – violence. Force must be applied without apology. 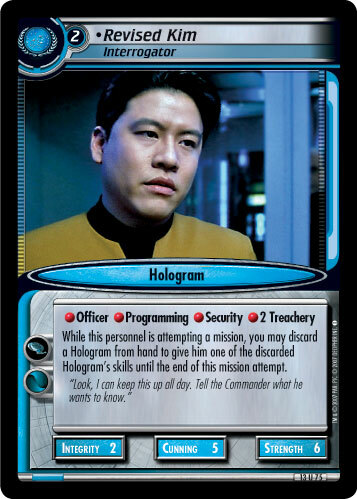 It’s the Starfleet way." 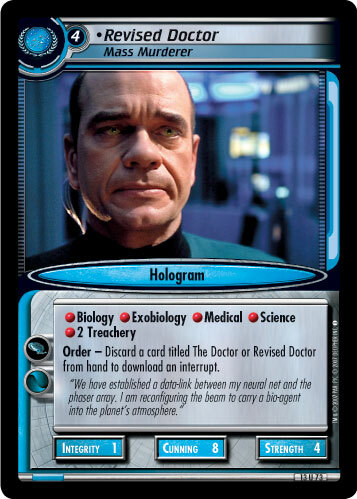 Image Source: Voyager: "Living Witness"